We’re sorry but all lost, stolen, damaged or “it just disappeared” parts will be charged for. WHAT'S INCLUDED IN OUR HIRE RATE? Free Trailertrailer included - for free! No Damage WaiverAll lost parts not returned will be charged for. 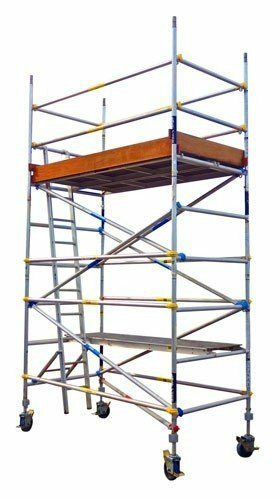 Mobile Aluminium Scaffold is easy to erect with the instructions provided. 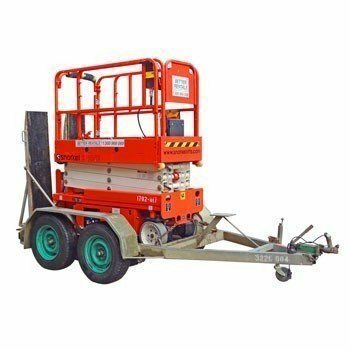 An electric scissor with 7.6m work height (5.6m platform height) complete with trailer will help safely and quickly reach high things. A light weight 5.4m aluminium scaffold with stillage and trailer for easy transport. 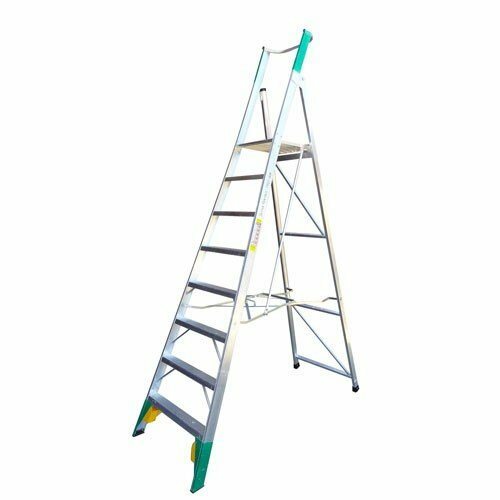 2.4 metre platform ladder for low level access jobs. 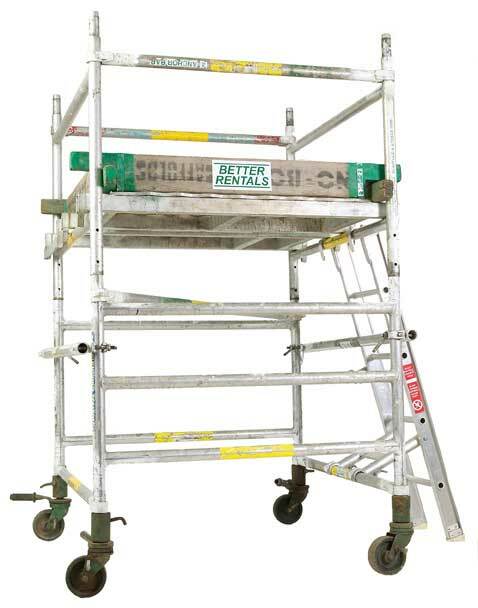 Light-weight 3.6m aluminium scaffold with stillage and trailer for easy transport.